Click for larger These are heavy duty nylon slings, with cross hatched stitching wherever the nylon crosses, and heat sealed ends which are tucked under an extra fold. This extra work means that these are going to last! An extra benefit is that they are washable too! We think you'll find these very comfortable, and great fun to play in! The sling shown is without the belt. The belt is shown in the smaller photo. 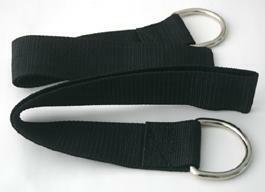 We have a little "blurb" about the restraining strap under our leather slings. Our basic slings are 18 X 33 inches in size, jumbo slings are 24 X 38. Chain not included. 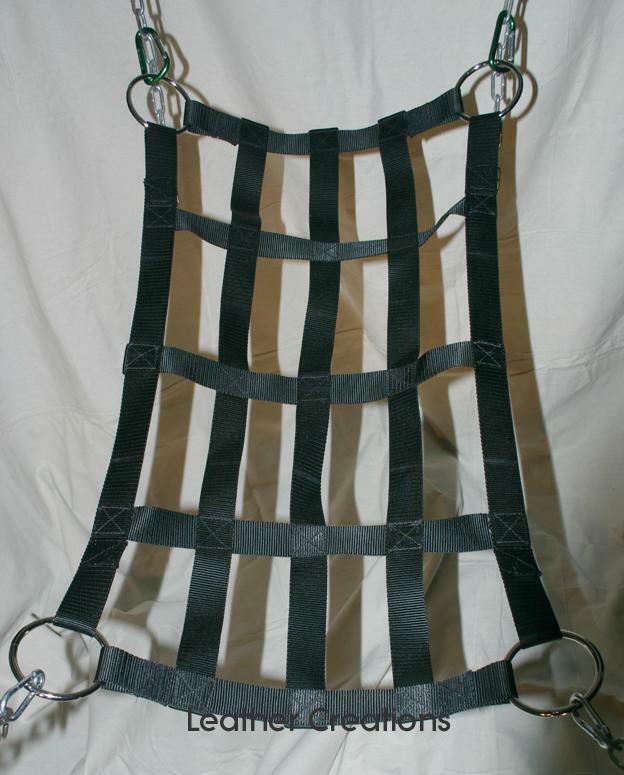 We also make two of these in a less expensive version, out of Poly webbing instead of nylon.